Mike Laidlaw: We Stripped Stuff Because Origins "Was Busted"
~~ 我們刪除某些元素因為 闇龍紀元 序章 是失敗的 ! Bioware is definitely one of the better companies on this score, all the more impressive given that they're a major developer...but they could do more. Summarising the pieces of feedback they've heard and indicating what they feel does and doesn't need changing would go a long way to helping people know that they really are listening, without having to wait for the cast iron proof of a future release. An obvious problem, and one we are keenly aware of. Not an intentional issue, and certainly not "by design" but something that happened and needs to be addressed. Players should not have to accept that Cave A is also Caves B through D. While -some- assets will be reused in the course of any game (and should be, otherwise games would simply be too expensive to create), they should be done so with considerably more discretion. In retrospect, I probably should have just cut content to reduce the re-use, but that's a tough call to make in the moment. When everyone talks about how it's raining men in DAII, there's clearly something wrong. Simple problem: waves were introduced as a mechanic and overused without enough time to tune them. Fan reaction prompted us to start making adjustments to the system pretty much immediately, and Legacy demonstrates the start of the result. I am amused when people note that waves are "gone" from Legacy. They're actually there, just done much better. So, yes, the bad waves are gone. Still more work to do, but a good start. We knew we were taking a risk making a story about a major even in Thedas that was pretty much going to happen, and reaction has been very mixed. While some folks love the "sound of inevitability" that pervades DAII, there are a number of weak spots in the impact they feel they should have on the world. Fair point. If we're going to offer you a decision, it should matter. Easy fix would be to cut decisions, but that's not what DA is about, so we're going to have to get better about clear impact of those decisions within the same game you're currently playing. Addressable, but not within a DLC, as they are pretty self-contained items. A mixed bag. Lots of folks liked unique looks for followers. Many more hated losing the ability to put new platemail on Aveline. Completely understandable, and likely aggrivated by finding platemail that your mage character would likely never be able to equip. Needs to change, but we'll cement how before talking in detail. Also not really addressable in a DLC, as there would be fundamental changes to the core game needed, which goes beyond the scope of what a DLC can deliver. There's more issues out there, for sure, but those are some that I'm comfortable talking about at this point. i do not want it to die, but i also don't know if i'm fully compeled by the way it's going right now, and that is why i try hard for my voice to be heard. Up until Legacy, though, I don't think anyone would have believed me if I'd said we were going to take it into account. 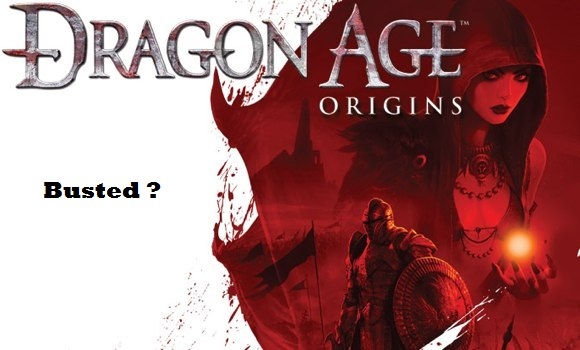 A lot of people on this forum had built up a grand conspiracy theory where we were deliberately stripping RPG out of Dragon Age because we are MEAN. I've said it before, and I will say it again: we stripped some stuff out of DA becuase it was busted. Other stuff was simply a design choice, and some of it was circumstance. There is no way you guys could know exactly what falls on what side of that triangle, and as devs we are not always able to be crystal clear on that kind of thing, especially immediately after a controversial game launch when the community was so far out for blood that they took my suggestion that setting a game that was too easy to a higher difficulty might be a good call was some sort of gigantic, egotistical middle finger to the entire fanbase. That was not a time for reasonable discussion, clearly. Now is the time. And I'm still very interested to hear what you folks have to say (unless it is a demand for gameplay videos before we announce anything, that is. ;) ), and we are still working on the formula. If I'm going to piss you guys off, it's going to be because I still firmly believe that RPGs do need to be more accessible to new players. Not dumbed down, not "consolized" (whatever that means. There are insanely complex games on the console), not diminished, but made less imposing and less terrifying to new players. In part because I want more people to play Dragon Age, and in part because there have been a lot of improvements in gameplay and UI design in the past 15 years, and we can learn from them. So on that point, I'm sure we can all agree to disagree, so long as the end product is more choice-driven, offers more "twiddle" to the player's experience in terms of equipment, offers satisfying, constructed encounters and a deep story. DAII clearly didn't deliver on all fronts for you guys. For some it did, but I'm truly, deeply cognizant of the parts that are weak, and while we're not going to agree on everything, there's a game out there that's better than both Origins and DAII, and I'll be damned if the talented folks of the DA team can't find it.